Pamela Ahart-Steward and Beth Greenberg became best friends at age two, and grew up together in Reston, VA. Lifelong animal lovers, they started All Friends Pet Care (AFPC) as a part-time pet sitting business while working full-time jobs in 1998. On January 1, 1999, they quit their jobs to dive into running AFPC full time, and have grown it from a small business that grossed just over $100,000 their first year, to a corporation with over 80 Independent Contractors (ICs) today. AFPC currently services over 2,500 clients in the Northern Virginia area, and has grossed over $1 million every year since 2006 – it’s eighth full-time year in business. All Friends Pet Care has been featured five times in Washingtonian magazine’s “Best of the Best in Pet Care” issue, most recently in July 2013. Pam and Beth have always been very active with Pet Sitters International (PSI), through which they started the first pet sitting network in Northern Virginia, the NOVA Professional Pet Sitters Network, in 1999. Beth served as the NOVA Network present from its inception until December 2003, when she was named PSI’s Southeast Regional Ambassador. She has spoken at several pet sitting conferences, mostly about her favorite subject, client relations. Beth is also passionate about business operations and management: putting systems in place that will keep order in your business and help it grow. 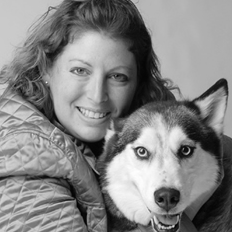 Pam is a graduate of PetTech, the first national training center for pet first aid and care. As a pet first aid instructor, she is certified to teach and train the skills and techniques of pet first aid, senior dog care, and dental care. Pam is the “voice” of AFPC: she has excellent communication skills and is the marketing guru, while constantly developing and maintaining business relationships. Over the years, Pam and Beth have developed a well-branded and successful million- dollar pet sitting business. As complimentary forces to each other’s strengths and weaknesses, together they have created a formula that other pet sitting companies want to learn from and duplicate. As a result, in 2011, Pam and Beth decided to create Alpha Approach, LLC, a business dedicated to coaching, consulting, mentoring and MOTIVATING other pet sitting and pet care businesses. Pam and Beth attribute their wonderful success not only to their lifelong friendship and mutual respect for one another, but to the constant generation of new ideas, marketing techniques, and networking opportunities. Sign up for the Pet Business Marketing Program.